Woodbine Animal Clinic wants your pets to be healthy. Weight plays a big part in overall health, especially for our pets. A good balance of diet and exercise is the best way to maintain a proper weight; but what do you do if your pet does become overweight? Or what if you are not even sure what your pet’s ideal size is? Studies have shown that approximately 22-40% of pets are classified as overweight, but only 22% of those owners acknowledge their pet as being overweight or obese. If you are not sure if your pet is overweight, you should speak with your Veterinary health care team. They will be able to determine whether your pet is overweight (or underweight), and help determine your pet’s ideal size by using a scale and body condition score system. If your pet is not currently at their ideal body size, your Veterinary Health Care Team will work with you to create a plan for weight management that takes into account your pet, as well as your lifestyle. It is important to remember that weight does not only affect your pets outward appearance; a dog or cat who is carrying around extra pounds is subject to many more health issues than their counterparts who are at an ideal weight. In fact, overweight or obese pets may even live up to two years LESS than lean or optimal weight pets. Once your pet has been overweight, she/he may be prone to weight gain and should therefore have an ongoing weight-management plan based on good nutrition, exercise and regular check ups and weigh-ins. Obesity is one of the most common nutritional medical disorders affecting companion animals. It is defined as an increase of over 20% above the optimum body weight. In most cases, the cause of obesity is too much food and not enough exercise. Free feeding, giving too many treats and sharing table scraps can all contribute to obesity. Obesity can also be the results of underlying medical conditions such as hypothyroidism or Cushings. If you think your pet is gaining weight, it is a good idea to consult your Veterinary Health Care team. They will be able to determine whether the gain is a result of too many unused calories, or something else. Diabetes – Obese pets have an increased risk and severity of diabetes mellitus. Early warning signs can include weakness, increased thirst, frequent urination, unexplained weight loss, depression or abdominal pain. Arthritis and other joint disorders – obesity places excessive stress on joints and can cause limping, stiffness or behavioral changes. Heart disease – the increased stress that obesity places on the heart can eventually lead to congestive heart failure. High blood pressure (hypertension) – increases the risk of kidney, heart and vascular diseases. There are no visible warning signs; regular check ups with your veterinary health care team are recommended once hypertension is detected. Gastrointestinal Problems – Overweight pets have increased constipation, flatulence and stomach ulcers. Each pet has different needs when it comes to nutrition; that’s why you should work with your Veterinary Health Care Team to make the right food choices for your pet. Together, you can discover the right type and amount of food for your companion’s life stages and health condition. Track their weight – losing weight can help your pet achieve better health, but only if the weight is lost in a healthy, controlled manner. To ensure your pet is losing at a healthy pace, make sure to weigh him/her regularly and use a weight tracking chart to track your pets progress. Maintain a healthy activity level – your pet’s weight management program isn’t complete without an appropriate amount of physical activity. Choose activities that make sense for you and your pet, and make it a part of your daily routine. Visit your veterinarian often – regular trips to the veterinarian ensure that your pets weight management program is going smoothly. 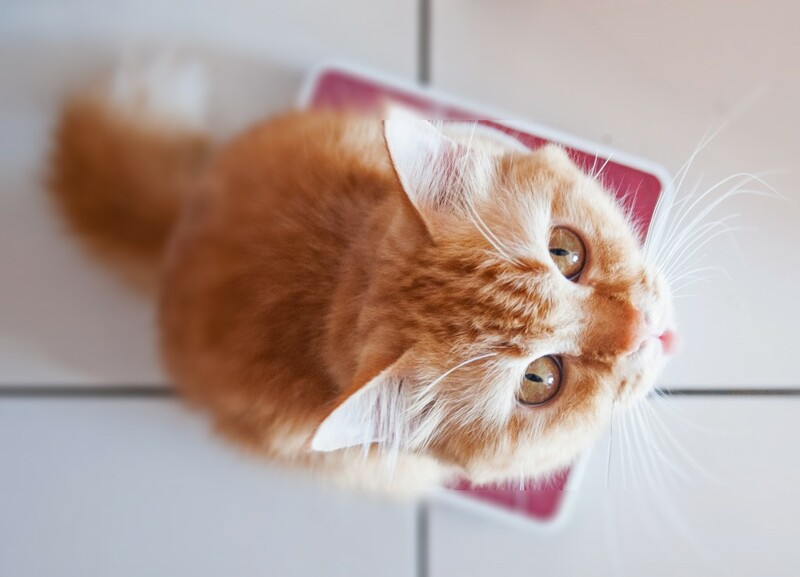 Your veterinarian knows your pets ideal weigh, how fast they should be losing weight and which foods are best for each stage of the weight loss plan.